This article will focus on Forecaster and the options for investing in a new budgeting tool. Have you been using Forecaster to budget your finances? Microsoft recently made the announcement that Forecaster will not be available or supported for new Microsoft Dynamics GP 2016 customers. 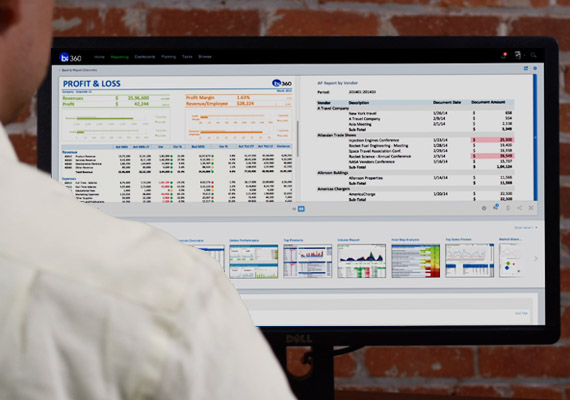 There are around 48,000 GP customers of out of 200,000 Dynamics ERP users, and around 2,000 organizations are using Forecaster in their budgeting procedures. Therefore, companies who have used Forecaster as a budgeting tool are looking for an alternative. In this article, the Gartner Magic Quadrant for Business Intelligence will be discussed in depth through a conversation that sheds some executive light on what it all means. This past week, Gartner released their Magic Quadrant (MQ) for Business Intelligence (BI) solutions – and it has seemingly set the business world abuzz. More specifically, Microsoft Power BI showed up in a major way in its first year on the MQ, so people are taking notice, consumers and vendors alike. I decided that it would probably be helpful to get some perspective on what it means for Microsoft fans, non-Microsoft fans, independent software vendors, and the business world in general. I sat down with the CEO of Solver EMEA, Johan Magnusson, to discuss Gartner’s BI MQ, and he had a lot to say about the MQ in general and how consumers should interpret the latest edition in order to make the best decisions regarding a BI solution investment. Let’s talk about Gartner’s Magic Quadrants, the most recent release being focused on Business Intelligence solution providers. As an independent software vendor (ISV) CEO, why are these important for consumers – and the marketplace? This article will discuss the year ahead of us, specifically in terms of what 2016 holds for Business Intelligence and Corporate Performance Management for modern businesses. Another year has come and gone, seemingly faster than ever – and we’re already into the second month of 2016. At the end of 2015 or in early January, some people were writing about Business Intelligence (BI) and Corporate Performance Management (CPM) trends they predicted we would see manifest this year. However, much like my current approach to New Year’s resolutions, I felt it was important to let the dust settle, work through the workload hangover of the holidays, and have the New Year function as a soft opening. This way, we can approach 2016 with a rolling start that doesn’t set us up for failure. This article will discuss some key trends and trajectories that data management and analytics will take in 2016. In this article, Retail budgeting and forecasting will take center stage, specifically for Microsoft Dynamics NAV users seeking today’s planning features and functionalities. Whether you are budgeting, forecasting, or comparing what-if scenarios for your organization, historical actuals and projected figures are required so you can strategize particularly for your retail company, maneuvering through challenges and opportunities in the upcoming months and years. There are plenty of solutions that are impactful for retail organizations to upgrade planning procedures with Dynamics NAV, whether you elect to build your own process, depend on NAV’s built-in budgeting functionality, or go with an independent software vendor (ISV) tool. This article will explore the most popular options for modern budgeting, forecasting, and modeling, particularly to meet your retail planning goals with Microsoft Dynamics NAV. This article is going to tackle OLAP cubes as a solution concept for Business Intelligence processes, within the context of other BI data store options. Let’s do it – let’s talk about OLAP cubes. With the amount of data only growing, exponentially for some, Business Intelligence (BI) data stores are becoming more and more prevalent – and are sensible ways for modern organizations, companies, and corporations to access, store, and organize company data for financial reports, budgets, and dashboards, as well as financial consolidations. Whether you’re relying on a data mart, data warehouse, or an OLAP cube, your data queries won’t slow down the Enterprise Resource Planning (ERP) system, and you can grab multiple types of data to enrich and broaden your analyses. But this article will specifically zoom in on OLAP cubes. Who manages them? What are they? When do OLAP cubes come into play? Where are they staged? Why would you choose an OLAP cube over another BI data store? In this article, replacement alternatives for Sage Active Planner will take center stage, specifically focusing on modern budgeting and forecasting solutions that expand your Sage experience. Whether you’re budgeting, forecasting, or modeling for your organization, you need historical actuals and projected figures, so you can build a plan to navigate challenges and seize opportunities in the coming months, quarters, and years. A lot of Sage customers default to Sage Active Planner when choosing a planning tool despite that it is aging and despite the limitations or issues you might read about if you do a quick search on the internet. However, there are several budgeting tools available for Sage customers that can upgrade your planning functionality, whether that be homegrown, native Sage ERP abilities, or an independent software vendor (ISV) offering. This article will discuss your best options for replacing Sage Active Planner.